“What are nonprofits to do in the face of the MEGA-REDISTRIBUTION of financial resources NOW OCCURRING because of these natural disasters?” Every nonprofit CEO and Development Officer is going to have to hit the streets and develop new sources of BIG MONEY gifts and grants. And they are going to have to be aggressive about doing this. 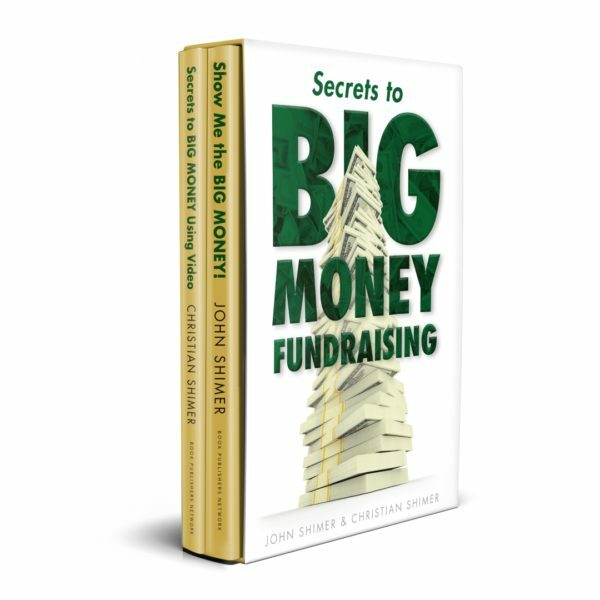 Our two-book set, “Secrets To BIG MONEY Fundraising” holds the answers that will make you confident as you tackle this sudden and very urgent challenge. With every nonprofit running the same race to rapidly secure new BIG MONEY Donors, can you afford to finish dead last? Your competitive edge is knowing all the professional secrets we teach in our books. Buy them and let us help you solve your problem!